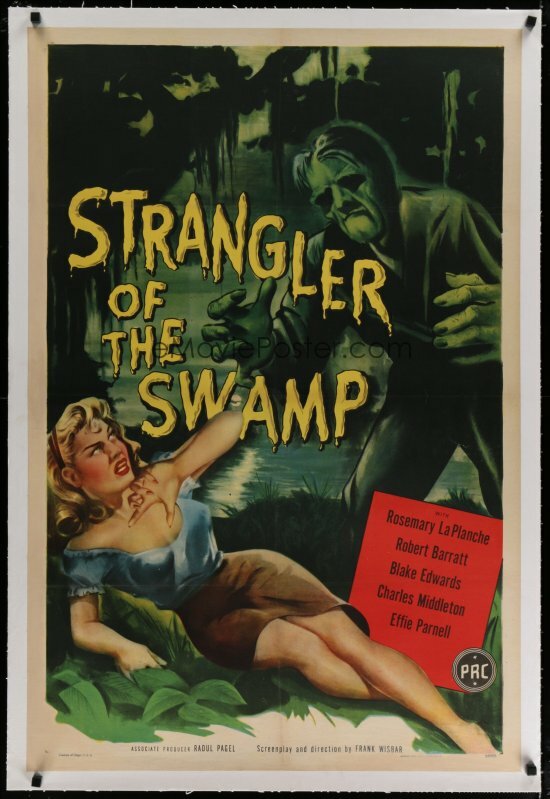 When a ferryman (Frank Conlan) becomes the next victim in a series of mysterious hangings, his intrepid granddaughter (Rosemary La Planche) takes over his job and soon falls in love with a local lad (Blake Edwards) whose father (Robert Barrat) holds a dark secret about the swampy town. “Poverty Row Cinema” was a catch-all phrase for a group of ultra-low-budget movie studios operating in Hollywood between the 1920s and early 1950s. One of the top PRC companies was another “PRC” — the Producers Releasing Corporation — which was responsible for such cult titles as Edgar Ulmer’s Bluebeard (1944) and Detour (1945), as well as Douglas Sirk’s Hitler’s Madman (1943). Strangler of the Swamp doesn’t live up to those three titles’ modest fame, but remains a uniquely atmospheric outing in its own right. Nothing about this strongly allegorical morality tale rings realistic — starting from the fog-laden set representing a town somehow disconnected from all of mainstream society, and continuing with the sudden arrival of a beautiful young woman eager to spend her days ferrying passengers back and forth across the swamp — but we soon learn the story is really about supernatural repercussions visited upon a town covering up its dirty secrets. It’s worth a one-time look, simply to see what such studios were able to do with limited resources (and to check out Blake Edwards in an early acting role before he became much more famous as a director). Yes, once, simply as an example of a better-than-average PRC outing. Listed as a Sleeper, a Cult Movie, and a Personal Recommendation in the back of Peary’s book. Not an easy film to find; I caught it on YouTube. More hokey than horror, it’s performed by a cast that has the enthusiasm of mid-level community theater actors but not much else. Of course, one can’t really blame the actors all that much; the script leaves a lot to be desired. 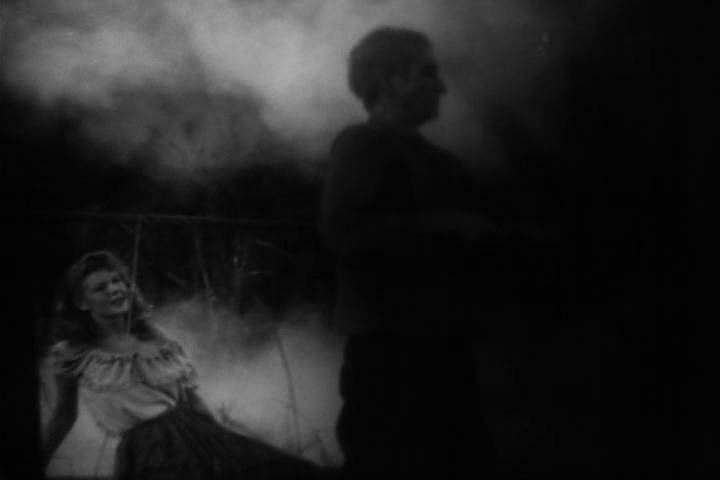 Although it’s atmospheric-enough (they sure had plenty of dry ice for that constant swamp-area effect! ), the story sort of plods along in one-note fashion. Edwards turns in one of the better performances and, yes, fans of his work as a director will likely be inclined to check him out in his earlier career as an actor.